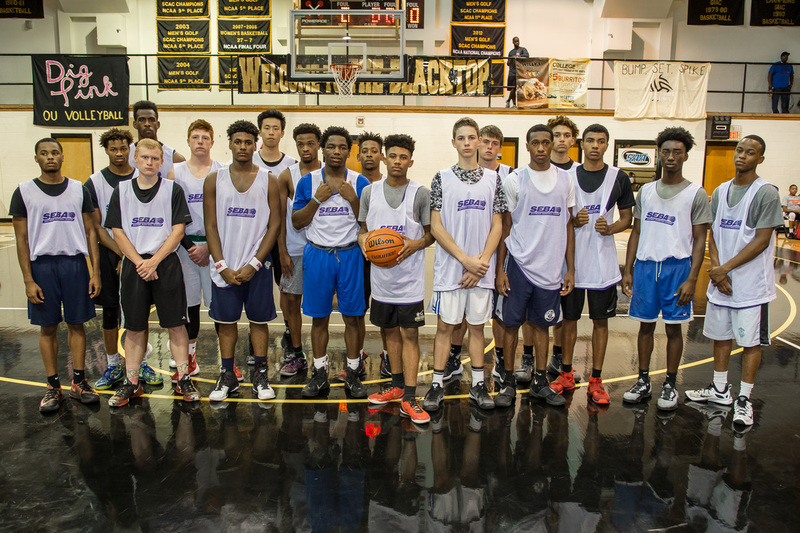 The 2016 SEBA Atlanta All-Star Shootout was held September 17th on the campus of Oglethorpe University in Atlanta. 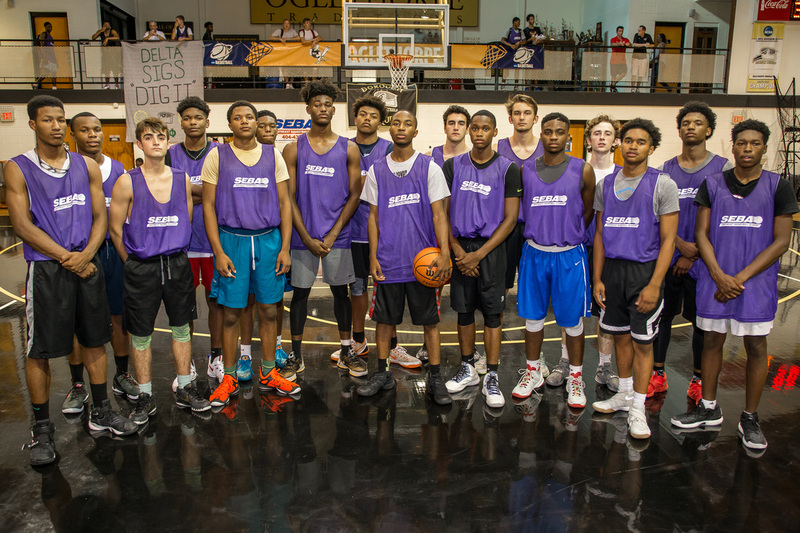 This 14th annual event featured a full capacity roster of 170 prospects from all areas of Georgia, as well as from the states of Florida, Tennessee, North Carolina, South Carolina, Alabama, and Washington. The Shootout brought excellent exposure to all of the participants, as over forty (40) college coaches representing twenty-seven (27) programs from throughout the South were in attendance to evaluate and recruit the talent on hand. The Camp consisted of a complete day of competition, development, inspiration, and exposure. During the morning session, the players participated in fundamental skills stations conducted by a fantastic group of accomplished high school, travel ball, and skill development coaches. Following the morning stations, Courtney Brooks spoke to the players. Coach Brooks, who led Southwest Atlanta Christian Academy (SACA) to national prominence and State Titles in 2004 and 2006, gave a passionate speech challenging the players to strive for success not only on the court, but more importantly in the game of life. Fresh off the inspiration, the players moved into 5-on-5 play, where they competed in three (3) full-court games with their respective camp team throughout the afternoon and early evening. The event concluded with a hotly contested "Top 30" All-Star Game which was well played and a fitting end to a highly successful event. Talented Prospect with impressive combination of size, strength, skill, and athleticism. Has excellent versatility to his game and is capable of doing many things on the court. Creates well on the perimeter, but is equally dangerous in the paint, where he uses his size to shoot runners or to overpower smaller defenders. Handles the ball well, especially on the break and is a good finisher. Has the ability to be a top notch rebounder from the wing position. Was named Region “Player of the Year” and All-State as a Junior and will be the go-to-scorer for Coach Greg Matta’s talented North Cobb Christian squad this coming year. Excellent lead guard with potential to be one of the top players in Cobb County this season. Has a nice handle and quickness; uses combination of dribble moves to create space for pull-up jumper and drives to the rim. Equally effective knocking down the spot up trey. Plays with intensity and knows how to compete. Bright future. Was named All-Region in very competitive 5-AAAAAA as a Junior. Dynamic and athletic player who can flat out score the basketball. Keiodre showed off a very impressive repertoire of offensive skills where he scored off the bounce, at the rim, beyond the arc, and in transition. Was able to repeatedly create good shots for himself, while also having the court awareness to dish for assists when defense collapsed on him. Exhibited a smooth and accurate three point shot; as well as superior slashing ability. Excellent prospect with very bright future. Very impressive point guard who was a delight to watch. Gary used his quickness and ball handling ability to slice-and-dice opposing defenses. He created many scoring opportunities for himself and his teammates off the dribble. He shot the ball really well from the perimeter and is strong and physical on-ball defender. With Dacula having graduated three super talented guards who are all now playing College Ball, look for Gary to step into a featured role and have a big-time senior season for Coach Russ Triaga. High potential prospect with size and athleticism, “Mo” finishes very well around the rim and threw down several powerful dunks in traffic. He runs the floor very well for his size and is effective on the break. Crashes the offensive boards hard and creates second chance opportunities for his team with putbacks and tips. Has a couple of developing low block scoring moves. Showed he can hit faceup jumper. Sees double team well and finds open man. On defensive end, he protects the rim and altered/blocked numerous shots. Has a chance to be an exceptional player with continued work and development. Diamond in the Rough prospect who made a big statement with his impressive all-around play. Coming off a Junior season where he averaged 23 ppg and 6 assists at Heirway Christian; Michael seized the opportunity to play against talent from “bigger” schools and excelled throughout the day. He carved up opposing defenses with his exceptionally quick first step and ability to consistently finish at the rim. Was equally impressive distributing the ball; feeding teammates with well-timed and delivered assists. Strong performance played him onto the radar of several of the colleges in attendance. Versatile and athletic guard who was one of the camp’s top scorers and overall performers. He slashed to the rim and scored on a variety of acrobatic finishes. He knocked down the long range three and showed good court vision in setting up teammates. Looked good leading the fast break and in transition. He has good wingspan and is active on defensive end. Best ball is definitely ahead of him. Combo guard with good size who displayed a well-rounded offensive skill set. Plays with good intensity, but is also very poised. Creates well off the dribble and can score at all three levels. Showed ability to consistently get in the paint off the dribble and create for himself and others. Had to sit out Junior season due to transfer-eligibility issue; but is cleared for this coming year and has the potential to have a huge Senior year. Physical athlete with great strength, Mikael was extremely effective scorer around the rim and on the boards throughout the day. Plays within flow of game and with good focus, he repeatedly crashed the offensive boards for putbacks and tip-ins. Runs the floor very well for a forward and can finish with authority. Demonstrated a solid face up jumper from mid-range. Excellent defensive player and rebounder on the interior. Is an elite student in classroom with impressive SAT score and is receiving strong interest from a number of high academic college programs. Guard from Middle Georgia was one of the best playmakers in the camp. Showed great passing ability and court vision; made his teammates better and dished assists for easy buckets. Handles the ball well and showed good decision making. Knocked down outside jumper when defense sagged, and attacked rim while driving gaps. Aggressive defender and very active on both ends. Transferred to Westside for Senior season. Heady guard with excellent skill level and overall game. Shot the midrange pull-up and three ball well. Has quick and natural release on shot. Has good court vision and sees passing lanes well while setting up teammates for easy scores. Not afraid to dive on the floor for loose balls and make hustle plays. Was constantly involved on both ends of floor. Has good length which allows him to defensively contest shots on perimeter. Named All-Region as Junior. Good upside potential. Quick playmaker with ability to score and distribute; Is a first rate penetrator and has great body control; finishes very well at the rim over bigger players. Exhibited a good floater and pull up jumper shot. Very active defender in passing lanes and picked up numerous steals. Has strength and potential to be a top notch on-ball defender. Has above average three point shoot which he balances well with his driving ability. Extremely versatile player out of Southwest Florida. Terrence does many things well on the court. He is an active player on the defensive end; deflected passes and grabbing steals. Looks good in transition and can lead the break or run the lane well. In the half court, beat defense off the dribble and finished consistently. His well rounded abilities combined with his strong ACT score had several college coaches highlighting his name as a prospective recruit. Lightning quick guard who relentlessly attacked and scored at the rim throughout the day. Was able to consistently get into the lane and make good things happen for his team. Was one of the top on-ball defenders in the camp and grabbed several steals in each of his games. Looked good leading the break and playing in transition. High energy player. One of the top perimeter scorers in the camp, Darius used a combination of aggressive drives, pull-ups, and three point daggers to fill up the score book. He has a very effective pull-up jumper and creates good dribble separation from defenders and to create shot. Has quick release and uses his body well on runners in the paint. Was named All-Region in very competitive 6-AAAA while averaging 15 ppg as a Junior. Look for Darius to be one of the top players in talent rich Dekalb County this coming season. Yet another Dekalb County standout who shined at the camp; Tyonn is an electric lead guard with great speed. He broke down opposing defenses and set up teammates for easy scores. Sees the floor well and finds open man. He gets in the paint and has the athleticism to finish at the rim. His three point shot is very solid and very complimentary to his driving abilities. He is a tough on-ball defender and does an excellent job pressuring his man. Was named All-Region and All-Dekalb last season as a Junior and is primed for a huge Senior season. The Camp roster boosted a very deep pool of talented 2017 perimeter players. In addition to the players listed above, here are some others who also made their mark. Carson Culverhouse (6’ 0, CG, Carrollton) was one of the top shooters in the camp and can knock it down off the catch or off the bounce. He handles the ball well and is an exciting player to watch in the open court. He is an above average student in classroom and is a definite player to watch for higher academic programs. The South Georgia duo of Christian Knight (5’11, PG, Lowndes) and Octavious Fudge (5’ 7, PG, Lowndes) were terrific. Knight is a true floor general with great feel for the game. He served as a quarterback on the floor and runs the offense with skill and confidence. Fudge is speedy sparkplug who makes his presence felt as a scoring threat, distributor, and active defender. Both are returning All-Region performers. Angelo Taylor (6’ 2, PG, South Gwinnett) is an intriguing player to keep an eye on in Gwinnett County. He has good size for a point guard, a strong handle, and a quick first step. Michael Johnson (5’ 10, PG, Allatoona) has the ability to score the ball off the bounce, from beyond the arc, and in transition. He is energetic and showed good defensive anticipation while forcing numerous turnovers. He is expected to play a key role for Coach Markus Hood’s powerhouse Allatoona squad this coming season. Ja’Len Kellum (6’ 0, PG, Opelika, AL; 2017) is a good looking lead guard who impressed with his grasp of the position. He is poised with the ball in his hand and makes excellent decisions; while playing excellent defense on opposing guards. Patrick Fries (5’ 10, SG, Flint River Academy) is a smart, fundamentally sound prospect with the ability to light up the nets from beyond the arc. Tre’Jon Taylor (6’ 1, CG, Mt. Zion) has a quick first step and was able to make good things happen for his team when penetrating the lane for pull-up jumpers and kick-out assists. Expect Taylor to be the go-to scorer the Mt. Zion this coming season. 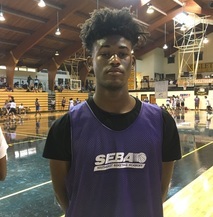 Jay Shropshire (6’ 2, SG, Chattooga) is an athletic inside-outside threat. He has a nice pull-up jumper and spot up three point shot. He also showed off his leaping ability with several above the rim finishes. Holt Shannon (6’ 2, SG, Mt. Paran) is an impactful scoring guard with good physical strength. He aggressively attacks the rim and finishes well. He can creates his own shot and gets good separation from defense on his dribble moves. Ibrahim Shabazz (5’ 10, PG, Holy Innocents) is an aggressive guard with strong court presence. He is an excellent facilitator in pick-n-roll situations and also showed a very serviceable three-point shot. Kamron Dozier (5’ 10, PG, King’s Ridge Christian) is a quick and physical playmaker who excels at drawing and kicking for assists. He also has a nice pull-up midrange jumper and plays strong on-ball defense. Kam was named All-Region as a Junior last season. 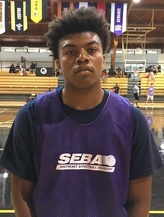 Caelon Ball (6’ 2, SG, Kell) is a physical guard with good athleticism and instincts. He thrives in the open court, rebounds well, and has above the rim leaping ability. Post Grad player Jordan Coffin (6’2, SG, Karns, TN) is a combo guard with good size and a nice three-point stroke. His deep range stretches the defense and he has good court vision. Jordan is a qualifier and immediately available for interested programs. 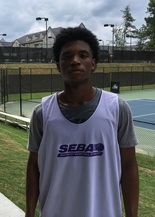 Drew Sheppard (6’ 0, PG, South Paulding) received positive evaluation from coaches with his deep shooting ability, court vision, and hustle. The crafty guard created scoring opportunities for himself and teammates while also doing the little things that help teams win ball games. Shawn Percy (5’ 11, PG, Jeff Davis) is an athletic and physically strong point guard who was one of the top defensive players in the camp. On offense, he has the ability to break down opposing defenses with his penetration skills and finishes well around the rim. Shawn will build upon a strong Junior season where he was named All-Region at Jeff Davis. 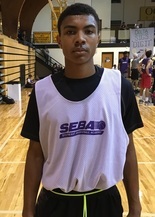 Bryce Parks (6’2, PG, Dutchtown) is a hardworking lead guard with a multi-faceted skill set. He was one of the top assist men in the camp, and showed good scoring ability. Multiple coaches commented on his on-court hustle and effort. DeJuan Hyde (6’ 0, CG, New Creation Christian) is a guard who can score in bunches. He was very effective in creating off the dribble and has an accurate stroke from beyond the arc. The talent is there for DeJuan to become a big-time scorer for Coach Buck Hunter’s New Creation program this coming season. Chandler Gibson (6’0, PG, Monroe Area) is a very skilled player and has some Steve Nash like characteristics to his game. He can score the ball at all three zones and utilizes change of pace moves very well. He uses screens very effectively and is a passer with good court vision. Jesse Holt (6’ 0, CG, Dade County) made a positive impression on coaches in attendance with his combination of perimeter skill, court awareness, and leadership. Named All-Region as a Junior, he is an asset playing as the lead guard or at the two spot. Rodney Pearson (6’ 1, G, Sprayberry) is an attacking guard with good length and quickness. A three year starter for Sprayberry; he has good slashing ability and is also an active defensive player on the ball and in the lanes. Aaron Rowe (6’ 3, SG, Grayson) is a talented and well-rounded guard with size. He showed a consistent jumper, ability to finish at rim, and passing ability. Rebounds well for a guard and is a very solid defender. Kennon Watkins (6’ 1, PG, Booker T Washington Magnet, AL) made a positive impression on both ends of the floor. The cat quick prospect attacked gaps, shot the ball very well from the outside, and showed great effort on defense. One coach also commented on his excellent work ethic in the morning skills stations. Tyler McConnell (6’ 2, SG, Lee County) is a smart player with a nice three-point shot. He uses screens very well to his advantage and has good range. An All-Region player as a Junior, Tyler is also an academic standout in the classroom and is a prospect academic elite programs should evaluate. Rabun Gap has several talented prospects from the Class of 2018 with excellent potential. One of those players is Adama Kpaan (6’ 1, CG, Rabun Gap). Adama is an athletic and strong guard with very good penetration skills. He plays with a big motor and is constantly around the ball on both ends. He gets up and down the floor quickly and is very good in the open court. Javin Boles (6’ 1, SG, Temple) is an athletic scorer who thrives in transition. He finishes nicely at the rim, is an active defender, and showed he can knock down the three point shot. With continued development, Javin has a very bright future. Duluth High boosted a trio of young guards that impressed with their play. 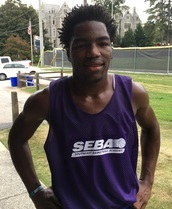 Christian Kelly (6’ 3, SG, Duluth) is a smooth guard who shot the lights out from three point land during 5-on-5 play. He is skilled, has good length, and was effective shooting off the dribble and spotting up. Adam Flagler (6’ 1, PG, Duluth), who was named All-Region as a sophomore last season, has a balanced floor game. He shot the three ball well, while also effectively setting up teammates with nice passes. Daylan Smith (6’ 0, PG, Duluth) is a lightning quick point guard who runs the show. He has excellent ball handling ability, leads the fast break, and creates high percentage scoring opportunities for his teammates. Devin Sheats (6’ 2, CG, Monroe Area) is a strong bodied guard with good potential. He finishes well, can knock down the trey, and plays good team basketball. Roscoe Spruill (5’ 8, PG, Cumberland Christian) is super quick floor general with an excellent handle and playmaking skills. While he suffered a muscle pull that sidelined him halfway through camp, he impressed with his energy, distribution, and shot making ability. 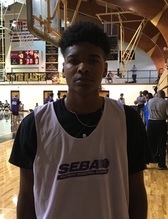 At the Wing position, Michael Croft (6’ 5, Cedar Bluff, AL; 2018) is a prospect with a bright future. He is long, very active, and possesses a nice three point stroke. He was named All-Area and All-Region last season as a Sophomore. Cameron Crowe (6’ 5, Wing, Woodstock; 2017) is an extremely high academic prospect who is starting to come into his own as a player. He is a good shooter from three point range, runs the floor well on the break, and is aggressive around the ball. Benjamin Ross (6’ 3, Wing, Woodland, 2017) is an athletic wing with a huge motor. He plays the game with excellent energy, hustle, and had a couple of highlight reel worthy dunks. He is a constant on the boards and the type of player you want to go into battle with. Ege Olzer (6’ 5, Wing, Flint River Academy, 2018) showed an impressive all-round game. The International student from Turkey knocked down jumpers, ran the floor, and finished around the rim; while displaying a high basketball IQ. 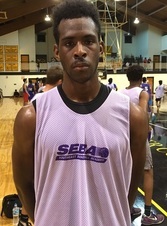 Terry “TJ” Goodrum (6’ 5, Wing, Allatoona) is a long wing with a good outside stroke. He has the ability to stretch the defense and create mismatches, while also serving as a versatile inside-out defender for his team. Jacob Howard (6’ 3, Wing, Johnson Ferry Christian Academy) is a blue collar player who plays with much hustle, energy, and intelligence. He has good touch on his mid-range shot and is a strong rebounder from the wing. Jacob has close to a 4.0 GPA and is a player high academic schools can evaluate. Jackson Baylark (6’ 4, Wing, Pope, 2018) is a high rising wing who had several fantastic dunks in traffic. He used his leaping ability to rise above defenders for short pull up jumpers and offensive putbacks. Defensively, he controlled the boards and blocked numerous shots. Jonathan McFall (6’ 4, Wing, Rabun Gap; 2018) is a high ceiling prospect with skill, length, and athleticism. Although he isn’t quite there yet, you can see the potential and he has all of the makings of an eventual scholarship player at the College level. Quiyante Burroughs (6’ 4, Creekside Christian, 2017) is a strong physical player who handles the ball well. The New Jersey native excels when attacking the rim and uses his body well to finish. He has good court vision and had several nice assists for layups. Kristian Collins (6’ 5, Peachtree Ridge; 2017) is a long and active forward who had success scoring the ball in the paint and from mid-range. He runs the floor well in transition and crashed the offensive and defensive boards hard. Jesse Walden (6’ 9, Eastside; 2017) is a developing post player with excellent size. He showed decent touch in the paint and a solid feel for the game. While he is far from a finished product, with continued work, the potential is there for him to develop into effective interior player at the next level. Aidan Hancock (6’ 6, Forward, 2018) is a good looking young forward who played well on both ends. He scored on a variety of post moves, face up jumpers, and drives to the rim. He is an above average defensive rebounder and interior defender. Elijah Goodman (6’ 6, Forward, Monroe Area; 2018) is a long and athletic combo forward with a solid outside shot. He has grown several inches since we saw him last; has become more of a presence in the paint and on the boards. Overall a talented player with definite potential. Cole Chaudoin (6’ 7, Forward, MLK Magnet, TN; 2018) is a lengthy forward out of Nashville who has improved significantly since we saw him last season. He is now more aggressive, has a soft touch around the basket, and plays with more confidence. He is comfortable looking for his offense and knocked down several mid-range jumpers from the elbow and baseline. With continued development, he has a chance to be a really nice player. Class of 2017: Sean Flanigan (6’ 2, SG, King’s Ridge Christian); Jordan Bourge (6’7, Forward, South Paulding); Sam Bush (5’11, PG, Walker); Dawson Wehunt (6’2, SG, Buford); Odera Unigwe (6’3, Wing, Cumberland Christian); Darius Howard (6’1, PG, Redan); DJ Jackson (5’6, PG, South Paulding); Terrian Wester (6’3, SG, Lee County); Jake Shore (6’4, Wing, Walker); Gimal Evans (5’11, PG, South Gwinnett); Alejandro Cabrera (6’5, Forward, Islands); Austin Panks (6’2, SG, Buford); Demetris Page (6’0, PG, Kell); Sean McDonough (6’4, SG, Wesleyan); Tremaine Anderson (6’1, SG, Redan); Michael Roberts (6’2, CG, Tate, FL); Max Yang (6’4, Forward, North Cobb Christian); Phillip Young (6’1, Wing, Fayette County); Jaquan Torian (6’4, Wing, Mt. Zion); Jake Owens (6’0, CG, King’s Ridge); Marquis Maffett (6’0, SG, Heirway Christian); Nick Cook (6’5, Wing, Hiram); Trevor Gulley (6’2, SG, GAC); Jibril Wyckoff (6’ 3, Wing, Redan); Xander Haymore (6’1, PG, Westminster Christian Academy); Isaac Tartal (6’8, Forward, Cumberland Christian). Special Note: We want to extend sincere thanks to all of the High School and Travel Ball coaches throughout Georgia and the entire Southeast who supported this event. Additionally, we want to send a special thanks to Courtney Brooks (Fellowship of Christian Athletes), Chuck Melito (NABL’s Atlanta Show), Cabral Huff (Duluth), James Davis (ASA/Ball For Life Foundation), Leshon Dempsey (Southern Stampede); Aloysius Henry (Methodist University), Bo Mason (FCI Warriors), Tony Ellison (Holy Innocents), Bill Blythe (Pope); Bradley Grayson, Darin Cooper, Travis Moore and Shawn Courtney for their time and efforts in working with the players; the Georgia Basketball Coaches Association (GABCA), and last but not least Head Coach Phil Ponder, Assistant Coach Branden Jovaag, and the entire Oglethorpe University Basketball program for their ongoing support.